WONDERFUL RANCH-STYLE HOME LOCATED ON QUIET STREET! OPEN KITCHEN WITH ISLAND! MASTER BEDROOM WITH WALK-IN CLOSET AND CEILING FAN! LOVELY LIVING ROOM WITH PLENTY OF NATURAL LIGHT! PARTIALLY FINISHED BASEMENT WITH FAMILY ROOM, BEDROOM, STUDY AND LARGE BATHROOM/LAUNDRY ROOM! NEW ROOF (2018)! NEW, HIGH-EFFICIENCY FURNACE (2018)! NEW PAINT IN BASEMENT (2018)! NEWER EXTERIOR PAINT! NEWER GUTTERS! EVAPORATIVE COOLER! GOOD-SIZED YARD WITH MATURE FOLIAGE! LARGE PATIO -- BBQ'S, REST AND RELAXATION! POTENTIAL RV/TRAILER/BOAT PARKING ON SIDE OF HOME! 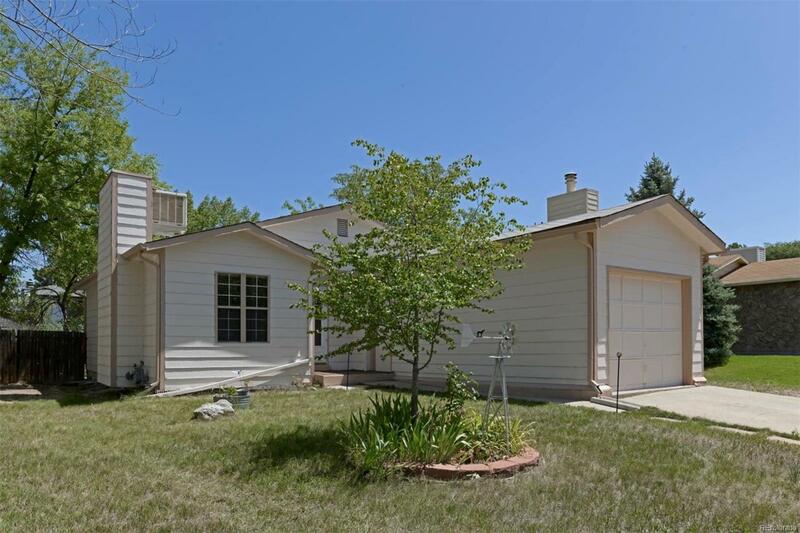 LOCATED NEAR SCHOOLS, PARKS, BIKEPATHS, HARRIMAN LAKE, RED ROCKS AND BEAR CREEK LAKE/PARK! Offered by Mb Duffy & Associates Llc.